2 Chainz’s fifth studio album isn’t as enjoyable as his previous release, Pretty Girls Like Trap Music, but it offers some standouts for fans of the Georgia rapper. The album was executively produced Los Angeles Lakers small forward Lebron James, who just recently passed Michael Jordan on the all-time scoring list. Despite the assistance from the famed basketball player, the album fails to live up to the expectations made by his successful 2017 LP. The album kicks off with vocals from Marsha Ambrosius, introducing Tauheed Epps (2 Chainz’s birth name) as a basketball player. This plays off the title of the album, which is a reference to the misconception that young African-Americans only have two options to escape the streets: rap, or go to the league. In his early life, it seemed like he was headed towards the latter. The song mostly revolves around asking the Lord for redemption as well as children dying before their parents. A JAY Z sample can also be heard during the chorus. In the outro of the track, 2 Chainz urges those listening who may be involved in dangerous activities to stop doing things that’ll make your parents bury you. Francis Farewell Starlite also provides a couple of extra vocals on the outro. Production on Rap or Go to the League is handled by 9th Wonder, Da Honorable C.N.O.T.E., FKi 1st, Mike Dean, and more. Despite a star-studded production squad, most of the beats on this project are forgettable. ‘Money in the Way’ is an early exception however, with a triumphant horn-backed beat by Buddah Bless and Jabz. The Young Thug feature was another disappointing first half cut, both Atlanta artists failing to bring out the best in each other. The album’s feature-laden second half isn’t all the great either. None of the features are to write home about, the Kendrick Lamar feature is especially disappointing and sounds phoned in. ‘2 Dollar Bill’ which has assists from Lil Wayne and E-40 is a song which actually works with a great Wayne verse. ‘I’m Not Crazy, Life Is’ has features from both Chance the Rapper and Kodak Black, and both work in the context of the song, however, there’s little to keep listeners from coming back, as the introspective and laidback production is more of a drawback than anything. 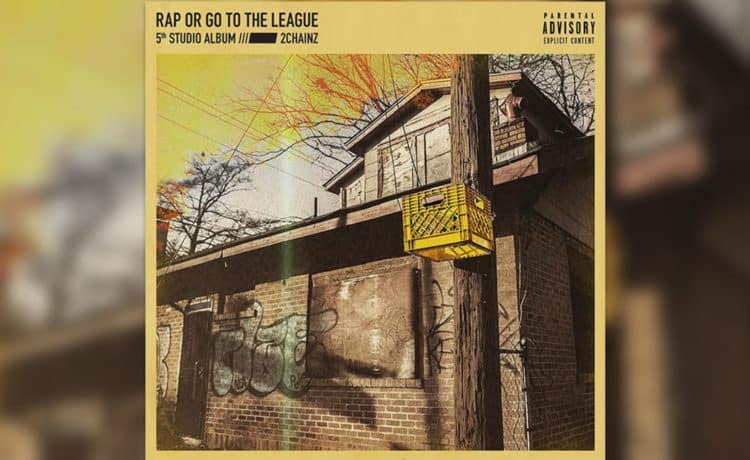 Despite the relatively decent wait for 2 Chainz’s fifth studio album, Rap or Go to the League sounds… off. The 2 Chainz we grew to know and love isn’t all here, it’s kind of hard to explain. Most of the comedic bars and one-liners are pretty far in between, and the basketball theme feels weak and falls apart in the second half of the album. Regardless of the letdown of this album, we’re still looking forward to more music from our favorite two chain wearing Atlanta dad.